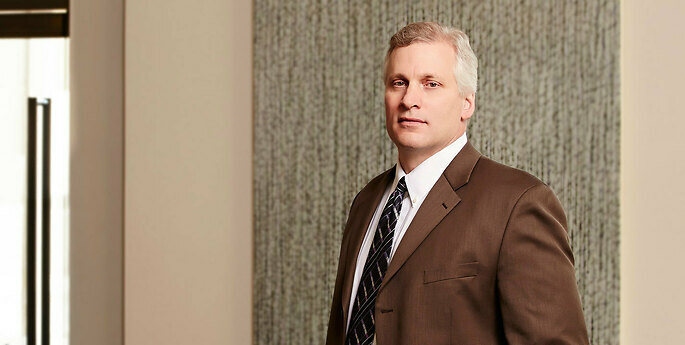 Paul J. Roman, Jr., Ph.D.
Paul practices in all areas of intellectual property (IP), with particular emphasis on patentability evaluations, patent prosecution, post-grant challenges, and related opinion work in the chemical area and licensing. He works closely with clients to identify protectable IP and provides practical advice to clients on protection of their IP and building and management of global IP portfolios. His areas of focus include inorganic materials, nanomaterials, inorganic/organic polymers, organometallic/coordination compounds, catalysts, biomaterials, biosensing technologies, pharmaceuticals (including small molecules and delivery methods), chemical processes, analytical methods, and food chemistry. Prior to law school, Paul worked as a researcher in the Department of Chemical Engineering at the Georgia Institute of Technology, concentrating on polymers and materials for advanced microelectronics applications. He also worked as a chemist/process engineer for an international manufacturer of specialty chemicals and materials. Paul is an inventor of eight granted U.S. patents. Paul has extensive experience in evaluations of relevant intellectual property and preparing freedom-to-operate opinions. He has also worked with many clients in the chemical and life sciences areas on identifying and protecting IP. He does this through regular meetings with clients, ensuring evaluations are made at early stages of technology development, and strategies for protection are designed to best suit the particular technology.